There are things you can do to reduce the impact of the wind on your RV while camping, as well as reduce any potential damage. If possible, park your RV with the front end into the wind. 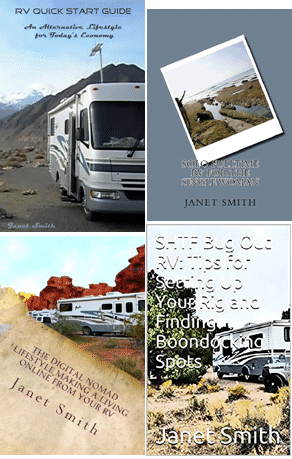 For a motorhome, you might park it with the tail to the wind, to prevent windshield damage. The front end of a travel trailer or 5th Wheel are aerodynamically designed for highway speeds, so you’ll have a lot less rocking and noise, compared to the wind hitting from the side. Do not leave your awning out in high wind areas, it will just be asking for a wrecked awning, and a high priced repair. The wind will not only rattle your vents, they could be damaged. Wind blowing through your living area can also damage items by blowing them down, and also, your interior could be covered in dust. Store light weight things like mats, camp chairs, folding tables and portable solar panels. Loose outside items could blow away, and possibly damage your RV, or someone else’s. Keep a look out for neighboring rigs with items that may blow into yours. Pulling in the slides will reduce your RV’s surface area, making it more areodynamic and center it’s weight. It should also reduce rocking, and keep any slide top awnings from being damaged. If the winds are very high, hitch your travel trailer or 5th Wheel to the truck. The weight of the truck will serve as an anchor, and also save potential damage to the front landing legs or scissor jacks from excess rocking. Fill up the water tank; since the tanks are located low and to the center of the rig, it will lower the center of gravity, making it harder to tip over. If you know the winds are coming, before it hits, make sure your roof vent, solar panels and AC covers are secure, tightening any loose bolts. Put down your TV and satellite antennas. Are there any large tree branches or power wires over you? If so, move the RV if you can, to a clear space. Keep a battery operated weather radio on hand, to monitor the storm in case your TV or internet access goes out. 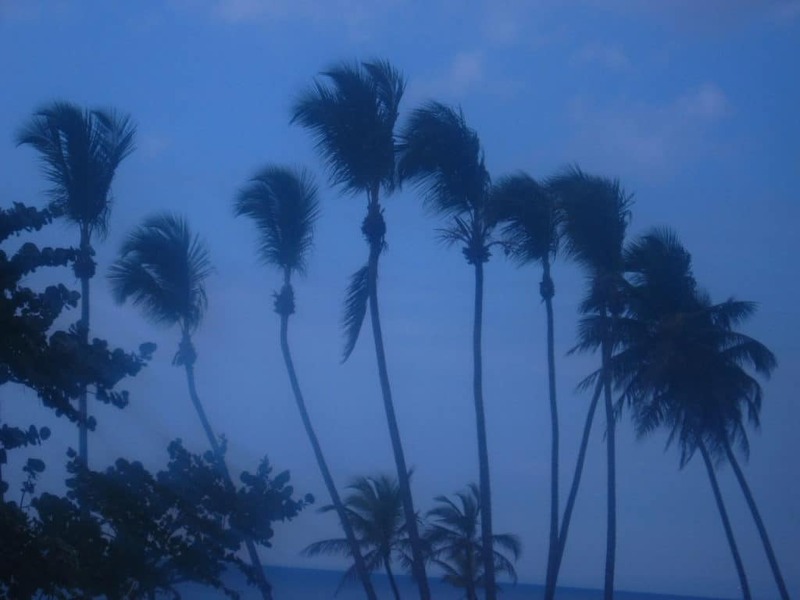 Know where you can go if the winds get out of hand, such as tornadoes and hurricanes. Most campgrounds in tornado prone zones will have a shelter. Make sure you know where it is.